This tutorial is shared with us by a blogger named Gajay. I have made pom pom earrings in the past, and like Gajay explains, with just a few tools you can make a pair of earrings like these. They are easy to make. I am glad she posted a tutorial for making them. 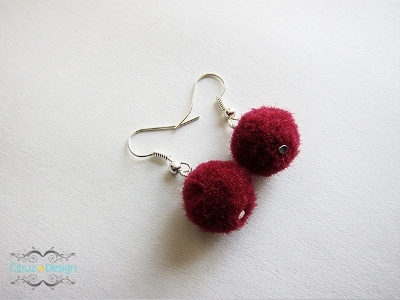 Learn how to make your own Pom Pom Earrings. Thank you so much for featuring my earrings.